Back in September 2016, the Winning Poker hosted its first OSS Cub3d tournament series – a combination of its existing Mini and regular Online Super Series, with the addition of a new Bigger Online Super Series. The series consisted of 140 events and was guaranteed for just over $4.5 million. Nearly eighteen months on, the Network has released details of its fifth OSS Cub3d series – now with nearly 200 tournaments and more than $15 million guaranteed in prize money. Although the distinction between the Mini, regular and Bigger series has all but disappeared, this is not necessarily a bad thing. It means there will be something for everyone during the four weeks of action. 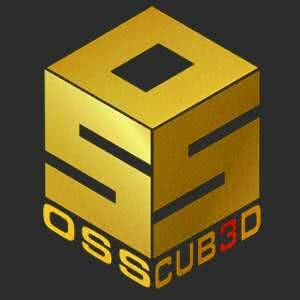 OSS Cub3d V will run continuously from Sunday February 25th until Sunday March 25th. There is a minimum of five feature tournaments every day during the first three weeks (the schedule for the final week is yet to be released) and a colossal amount of money on the tables each weekend. For example, the opening Sunday´s action features eight tournaments worth nearly $1.5 million in total. Although the schedule for the following week has yet to be released, the Network has announced that there will be two $1 million guaranteed tournaments on Sunday 25th March – the regular Million Dollar Sunday event and a $2,100 buy-in BOSS Main Event. Low buy-in satellites for many of the feature events in the OSS Cub3d series are already underway at . Although many players will look at the seven-figure guarantees and plan their action around the Sunday tournaments, there is a good reason not to ignore the midweek events in the OSS Cub3d series. While the OSS Cub3d series is underway, Black Chip Poker will be hosting three leaderboard competitions – each awarding the top ten players entries into the following four weeks´ Million Dollar Sunday events. February 25th to March 4th. March 5th to March 18th (two weeks). March 19th to March 25th. Only points earned in OSS Cubed tournaments count towards your leaderboard position, there is no need to opt into the promotion, and you will be able to monitor your progress on Black Chip Poker´s website. If you finish in the top ten places in any of the three leaderboard competitions, you will find your tournament entry tickets in the administration section of the Black Chip Poker software. Good luck and enjoy OSS Cub3d.